Explore Romania’s capital, a charming city with palaces, gardens, historic buildings, leafy squares and exciting nightlife. With wide French-style boulevards, neoclassical palaces and large parks, Bucharest was known as the “Paris of the East” before the Communist era. Since the overthrow of Communism, it has been reclaiming its former glory. Today, visit this modern city with restored palaces, fresco-filled churches, open-air cafés, a thriving nightlife and rich cultural experiences. 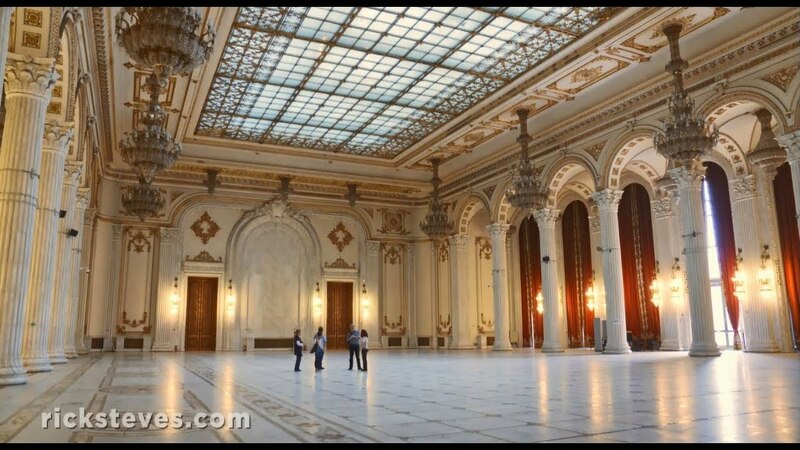 Start with a tour of Bucharest’s architectural landmarks. Admire the sculptures and bas-reliefs of the Arch of Triumph. The large granite monument commemorates Romanian soldiers who fought in World War I. Explore the Palace of Parliament, one of the world’s largest parliament buildings. The dictator Nicolae Ceaușescu and his wife fled from Revolution Square in 1989. Here see the former royal palace, now the National Museum of Art, and Kretzulescu Church. This 18th-century place of worship is an example of Brâncovenesc architecture, a mixture of Renaissance, Baroque, Byzantine and Ottoman styles. Bucharest offers many green spaces for relaxation. Wander through the 43 acres (17.5 hectares) of the Bucharest Botanical Gardens. Row a boat across the lake at Cișmigiu Park. During winter, skate on its ice rink. Glimpse part of Romania’s past at the Village Museum inside Herăstrău Park. The open-air center features traditional homes from all regions of the country. The oldest dates back to the 17th century. For eating, drinking, dancing and socializing, head for the old town. Find restaurants serving Romanian dishes of sausages and cabbage. Some clubs and cafés stay open until sunrise. For classical music performances, go to the Romanian Athenaeum, the city’s domed circular concert hall. The Romanian Leu is the official currency of Romania.